One of the most popular hats in our shop is the “Telpak” from Turkmenistan. We try to keep them in stock, although they are very difficult to procure. It is a huge hat which resembles an enormous ball of sheep’s wool or even a wig. 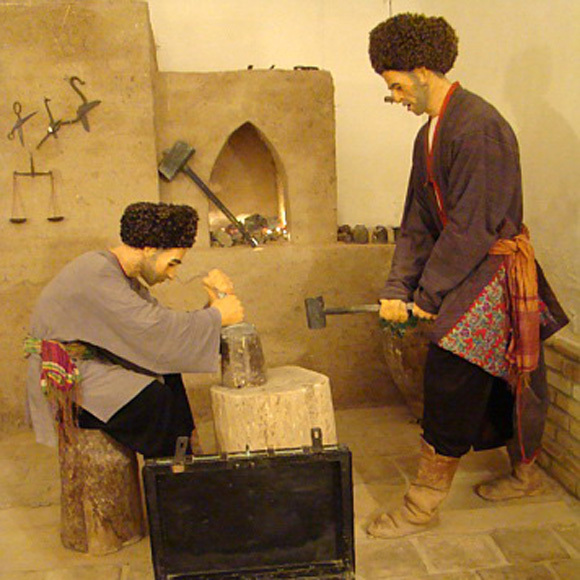 The Turkmen say it is a “vacuum flask for the head” which protects from overheating in the summer and serves as insulation from cold in the winter. This is hard to believe, as Turkmenistan has a desert climate, and it reaches 140 degrees Farenheit in the summer. 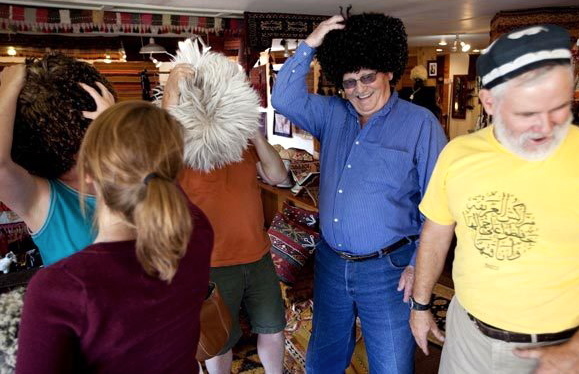 The picture above was on the front page of the Seattle Times–of people having fun trying on telpaks in our store.